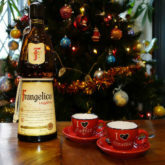 Home » Italy » Frangelico – Have You Tried it? If not, do. Maybe you haven’t heard of Frangelico. A pity if so. 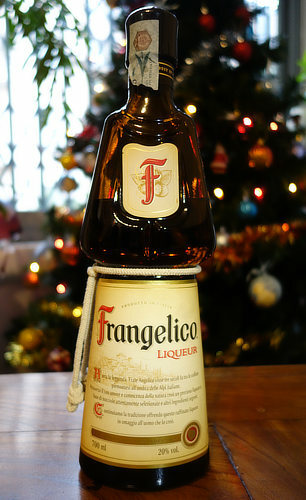 Frangelico is a hazelnut-based liqueur and it’s rather good. After mentioning that I couldn’t find Frangelico in local stores, I got given a bottle by a kind student of mine at Campari, the company which now produces this liqueur. Thanks Elena B. Curiously, Frangelico can be quite hard to find in Italy. It is present in a few bars though I haven’t seen it. And the distinctive bottle in the shape of a friar – including a small rope – is quite hard to miss. You can drink it neat but you may find that it is rather sweet. The sweetness, however, can be toned down a little with a slice or two of lime. But I’ve found another way to enjoy this nutty liqueur – dropping a little into an espresso coffee. 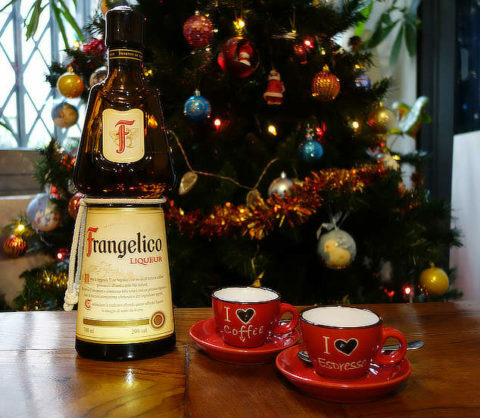 Frangelico can be added to espresso as an alternative to sugar. Indeed, do not add sugar at all unless you have very sweet tooth! The resulting drink is a pleasant blend of hazelnut and coffee. I have to say that I like the combination a lot. The sweetness of the liqueur takes away some of the bitterness of the coffee. Fortifying espresso coffee with spirits and liqueurs is quite common in Italy where you just ask for a caffè corretto. 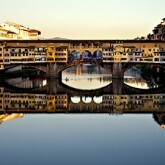 You can choose what is used to “correct” your coffee with grappa and anise-flavoured sambuca being popular additions. There are plenty of other ways to enjoy this liqueur too. To find out what they are, take a look at the recipes section of the official website. Actually, I think there may be other ways to use this liqueur. It’d make an interesting addition to cake fillings, for example. Or how about adding a little to the white sauce you pour over your Christmas pudding or even adding some to custard? Use your imagination.